Amsterdam has a reputation for flavourful dining and the options span street corner fish stalls and brown cafes (eetcafes) to pancake houses and delicious gourmet restaurants. Traditional Dutch cuisine is food that is hearty and filling but in Amsterdam Dutch “fusion” food is also very popular. Expect to find Gouda in various stages of maturity and lookout for gingerbread (ontbijtkoek). The Indonesian influence may be tasted in the popular rijsttafel – a delicious rice table dining experience. 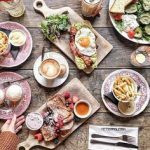 Humphrey’s – If you are looking for a delicious and affordable Dutch dining experience then why not pay a visit to Humphrey’s at Nieuwezijds Kolk 23, just a short walk from Central Station? This surprisingly large restaurant appears to go on forever and the rear of establishment can easily cater for larger groups as well as romantic couples. The décor is dark wood with shadow lighting to create a warm and intimate feel throughout. The big attraction here is the excellent set 3-course menu. There is a good choice of delicious dishes on offer, many with typically Dutch dishes and more than one option to suit vegetarians. Since the restaurant is only open daily from 5.00pm until 10.00pm daily it is usually a good idea to pop in or call up in advance to reserve a table. Don’t panic if they are full up as there is another branch of the restaurant just a 6 minute walk away across the road at Spuistraat 267. Check their excellent website for the latest menu which rotates every few months and for contact details. 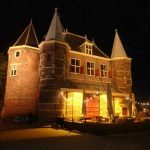 Café in de Waag – If you prefer to eat outside or with a little more space around you then make your way to Nieuwmarkt where you will notice a large castle-like building with pretty turrets in the centre of the market square known as De Waag. The building dates from as early as 1425 and marks the original city gate of Amsterdam. The front entrance was also the site of public hangings and guillotine executions in years gone by. Inside you will find the very stylish Café in de Waag selling delicious breakfasts, lunches, and dinners throughout the day from 9.00am. The interior of the building is as enchanting as the outside and lit by an incredible 300 candles which must take hours to light and extinguish daily. The café incorporates a large terrace at the front opening onto the market square. You may prefer to sit here in the open air unless you are put off by the gory history of this ancient building. Check the website for the latest menu details and prices. 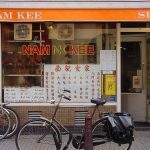 Nam Kee – Just across the road from De Waag at Geldersekade 117 lies one of the city’s most popular and highly rated Cantonese restaurants known as Nam Kee. Winning many awards, this is just one of three restaurants in the locality owned by the Chan family who have been preparing delicious authentic Cantonese cuisine with their unique family recipes since 1981 for two generations. Favourite dishes which come highly recommended are their traditional recipes for Peking Duck and Tja Siew as well as their outstanding oysters. The other two restaurants can be found at Marie Heinekenplein 4 and Zeedijk 111 – 113. The latter is just a 3 minute walk away. All three locations are open daily. Check their excellent website at which also provides some of their recipes in English. An actual cook book is also available to purchase from the restaurant, unfortunately it is only currently printed in Dutch. Café de Jaren – For a little light lunch and a frothy coffee or cool Dutch beer on the waterside make your way to Café de Jaren at Nieuwe Doelenstraat 20 – 22. 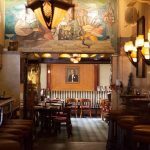 Located just next door to the famous Hotel de l’Europe and on the banks of the Amstel this popular and rather chic city central watering hole has become something of an Amsterdam institution. The main café area and reading room on the ground floor is extremely cavernous with its high ceilings and stylish interior design. For something a little more substantial head upstairs to the excellent restaurant which is also famed for its delicious salad bar. The pretty terrace on the waterfront is the perfect place to enjoy a cheeky cocktail with friends in a laid back setting. Prices are extremely reasonable and you can explore the food and drinks menu at de Jaren. 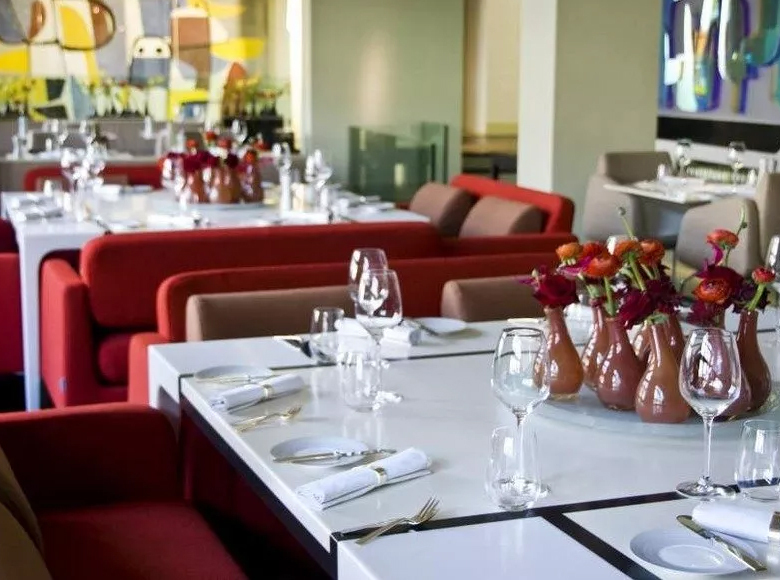 Getto Bar and Restaurant – Finding reasonably priced, well prepared food and good customer service can be a challenge in the very centre of the city. 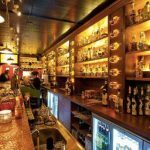 Thankfully Getto Bar and Restaurant is located just a short walk away from Central Station at Warmoesstraat 51 and provides all of the above and more. 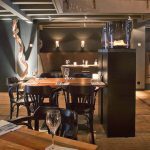 This trendy and extremely funky intimate eatery has been serving their deliciously creative menu for 15 years. Their most popular dish remains the iconic Getto B.B.Q. Burger which comes served with, mouth-watering thyme potatoes, smoked bacon and warm gorgonzola dressing, fries and salad. Why not top it all off with one off with an extravagant Getto cocktail? 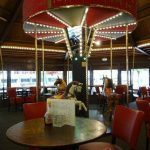 The waiters and bar staff provide a genuinely friendly and attentive service to their customers and menu is both fun and affordable. Take a look at their jazzy website for more information. Restaurant Moeders – Amsterdam is absolutely jam packed with food and drink options but it can be hard to find somewhere offering a unique experience and a genuinely welcoming ambience. 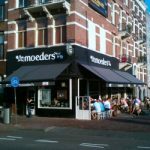 Why not call in at Restaurant Moeders which is located at Rozengracht 251 close to the Westermarkt? The name ‘Moeders’ is the Dutch word for ‘mothers’ and since opening 20 years ago the owners have encouraged visitors to bring along a photo of their mothers to be pinned up on the walls of the restaurant. Thousands of framed and unframed pictures now adorn the walls. Why not bring a photo of your own mother to add to the collection? The delicious food, a combination of typical traditional hearty Dutch cuisine and yummy cakes are served up on miss-matched crockery and cutlery which simply adds to the charm. This warm and cosy home from home establishment is open 7 days a week and there’s a nice sunny terrace to enjoy from May until September. If you bring along your mother on her birthday then Moeders have a little treat in store for her! Why not treat yourself to their famous ‘High-tea’? Take a look at the menu or make a reservation online. 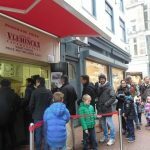 Vleminckx Vlaamse Friteshuis – The best Flemish fries in town. This ‘brown café’ serves delicious comfort food in the form of Flemish fries with mayonnaise also known as patat frites, but never French fries! Voetboogstraat 33, Amsterdam. Tel: 31 250 624 6075. 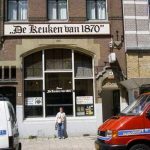 Keuken van 1870 – Homestyle Dutch cooking. 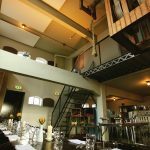 Located in Nieuwe Zude, this former soup kitchen is an Amsterdam institution which serves from a daily changing menu offering hearty (cheap) food. Spuistraat 4 1012, Amsterdam. 31 250 620 4018 or keukenvan1870.nl. 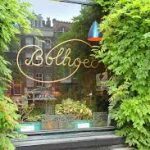 De Bolhoed – Vegetarian delights. This canal-side café is a sure bet for fresh, organically grown imaginative dishes including a daily vegan special. Prinsengracht 60-62 1015 Amsterdam. Tel: 31 250 626 1803. De Carrousel – Glamorous pancakes. Located not far from the Heineken Experience this café and pancake house offers some of the best pancakes and poffertjes in the city and they also serve better than average burgers. Tweede Weteringplantsoen 1, Amsterdam. Tel: 31 250 625 8002. Café Schiller – An evocative bar with tasty eats. Enjoy value for money entrees in a beautiful classic Art Deco building. (Rembrandtplein 26, Amsterdam. Tel: 31 250 624 9846 or cafeschiller.nl. 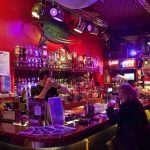 International Cuisine – For a broad range of sit-in and take-away eateries in one location be sure to visit the two side streets that run south easterly from the popular Leidseplein entertainment area. 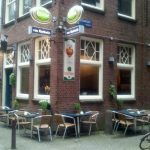 Here on Lange Leidsedwarsstraat and Korte Leidsedwarsstraat you will find Thai, Italian, Greek, Mexican, Indonesian, Indian, Argentinian, Brazilian food establishments as well as a Japanese sushi bar. HEMA € 1.00 Breakfast – If you don’t feel like preparing breakfast in the mornings then why not experience Amsterdam’s famous bargain breakfast at HEMA that costs just €1.00! This is one of Holland’s favourite and most trusted high-street chain-stores where you can buy all number of useful household items and food at affordable prices. The remarkable €1.00 breakfast has become something of a local institution and is served daily until 10.00am. Your meal consists of bacon and egg served on French bread, a croissant, jam and a cup of coffee or tea. A glass of orange juice is also available for the special price of just 50 cents. There are several HEMA stores in Amsterdam but the breakfast is only available at two of the branches at Nieuwendijk 174 and Kalverstraat 212. We at amsterdamapartments.com love a bargain too so we will see you there! 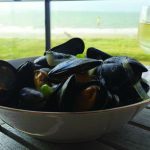 Van Kerkwijk – Eetcafe eclectic cuisine. 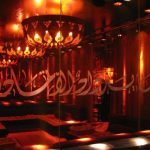 Just south of Dam Square, this popular spot offers a variety of excellent dishes with Moroccan, French, Italian, and Indonesian flavours. Nes 41 1012, Amsterdam. 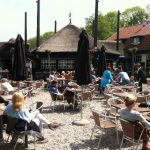 Tel: 31 250 620 3316 or caferestaurantvankerkwijk.nl. Sea Palace – Great Chinese. 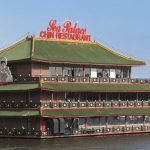 This floating pagoda-style restaurant is just a five minute walk from Central Station and has an extensive menu featuring Cantonese, Peking and Szechuan dishes. Oosterdokskade 3 1011, Amsterdam. Tel: 31 250 626 4777 or seapalace.nl. 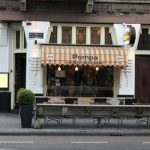 Pompa – Tapas near Concertgebouw. This museum quarter establishment has an extensive, affordable menu which includes Mediterranean dishes and tapas. Willemsparkweg 6 1017, Amsterdam. Tel: 31 250 662 6206 or pompa-restaurant.nl. Nomads – Arabian foods. Leave your shoes at the door and recline on dining beds in an atmosphere not a million miles from the Arabian Nights. Rozengracht 133 1016, Amsterdam. Tel: 31 250 344 6401 or restaurantnomads.nl. Los Pilones – Best Mexican food in the city. This charming eatery is the place to enjoy authentic Mexican dishes and sample their impressively broad assortment of tequilas. Kerkstraat 63 1017, Amsterdam. Tel: 31 250 320 4651 or lospilones.com. Kilimanjaro – Authentic African cuisine. 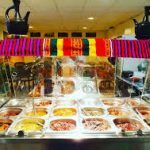 This pan African restaurant serves unique flavors from the continent which includes Mongozo beer, Ethiopian coffee with popcorn, and alligator cocktails. Rapenburgerplein 6, 1011, Amsterdam. Tel: 31 250 622 3485. De Odessa – Ukrainian connection. Climb aboard a Ukrainian fishing boat and experience the rather quirky dining experience – well priced international entrees and deck-top drinks. Veemkade 259 1019, Amsterdam. Tel: 31 250 419 3010 or de-odessa.nl. 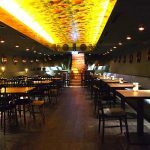 Bird – Presenting some of the best Thai food in town. Great value for the money, this popular dining spot is known for its wonderful red and green curry sauces and some authentic Thai hospitality. Zeedjik 72 – 74, 1011 Amsterdam. 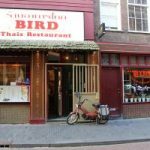 Tel: 31 250 620 1442 or thai-bird.nl.